udupi chitranna recipe | kayi sasive chitranna | masala chitranna recipe with detailed photo and video recipe. 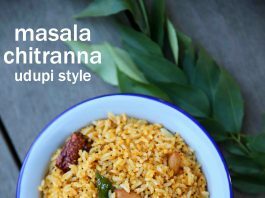 a popular udupi style spiced rice recipe or masala rice prepared with rice and grounded coconut masala. 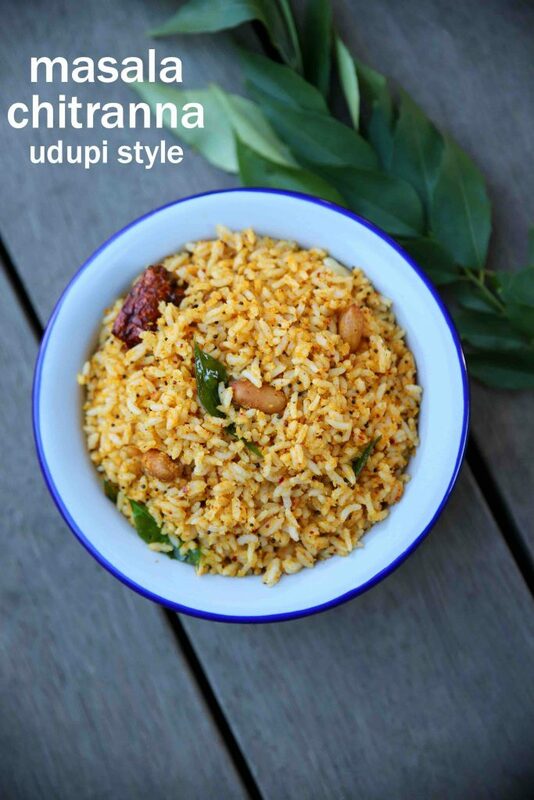 this recipe is a udupi delicacy and one of the must dish made during the celebration feast. 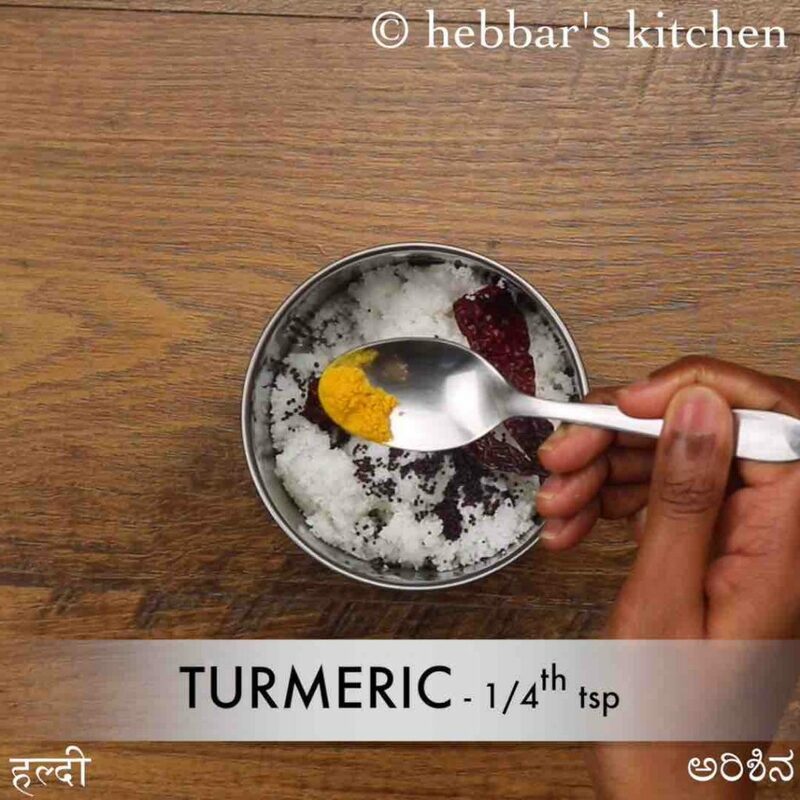 it is generally served as a condiment rather than the main dish, but can be ideal lunch box or tiffin box recipe. udupi chitranna recipe | kayi sasive chitranna | masala chitranna recipe with step by step photo and video recipe. lemon rice or widely known as chitranna in kannada or karnataka, is a popular rice-based dish recipe. however, there are several variations and local adaptation to this recipe across many south indian states. udupi chitranna is one such local variation made from mustard and coconut grate. i have already shared the easy and simple lemon rice or chitranna recipe which is typically made from left-over rice for morning breakfast. but this recipe of masala chitranna recipe is very unique and has more spice compared to former. this dish is generally made as one of the appetising dishes during the celebration or any occasion feast. also while serving in the banana leaves, it has a dedicated place and it should be placed at the bottom left of banana leaf. also, the main difference between the udupi chitranna and normal chitranna is the usage of grounded masala prepared from mustard seeds, fresh coconut and red chilli. further, the masala is coarsely grounded with no water and not converted to a coarse paste. 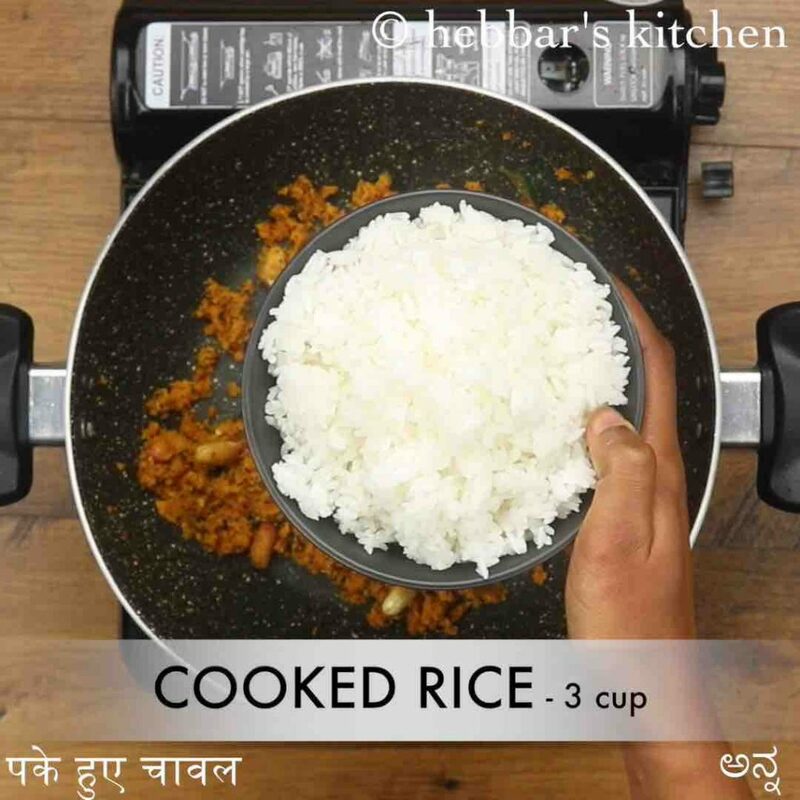 it is then roughly mixed with freshly cooked or leftover rice before serving it freshly. while the masala chitranna recipe can be prepared within minutes, yet some tips and recommendation while preparing it. firstly, this recipe is generally prepared with fresh and moist rice as compared to the simple lemon rice. having said that, you can experiment with the left-over rice and sprinkle some water while cooking. secondly, i have used desiccated coconut (soaked in water for 5 minutes) as i did not have access to fresh coconut in the first place. i would heavily recommend using freshly grated coconut if it is available for you. lastly, as we are using coconut the rice may turn stale quickly and hence should be consumed quickly once prepared. you can extend its life by refrigerating it in an airtight container. 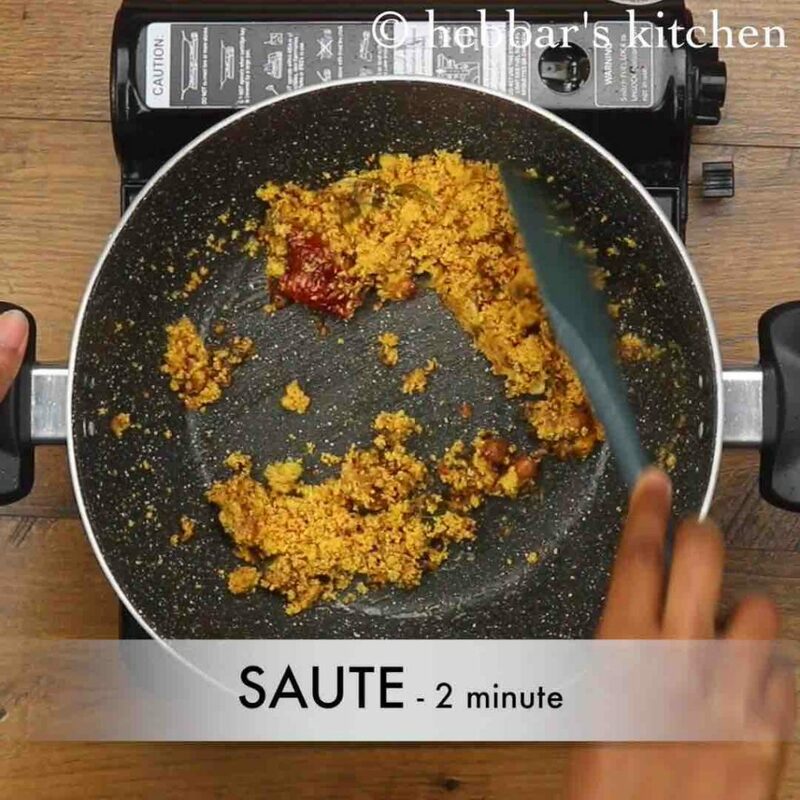 firstly in a blender take ½ cup coconut, ½ tsp mustard, 2 dried kashmiri red chilli and ¼ tsp turmeric. 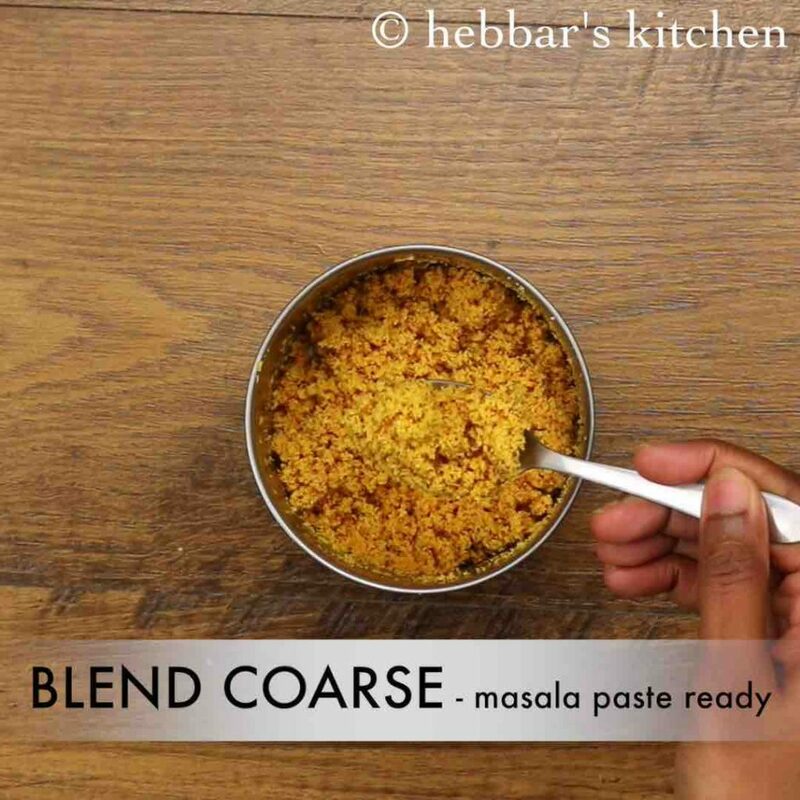 blend to a coarse paste without adding any water. 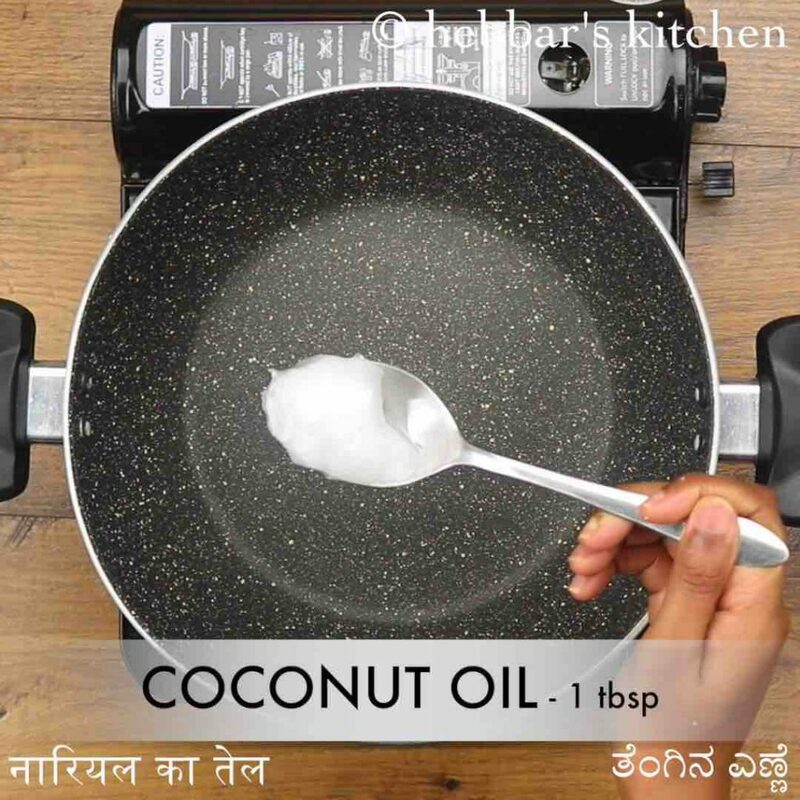 now heat kadai with 1 tbsp of coconut oil. 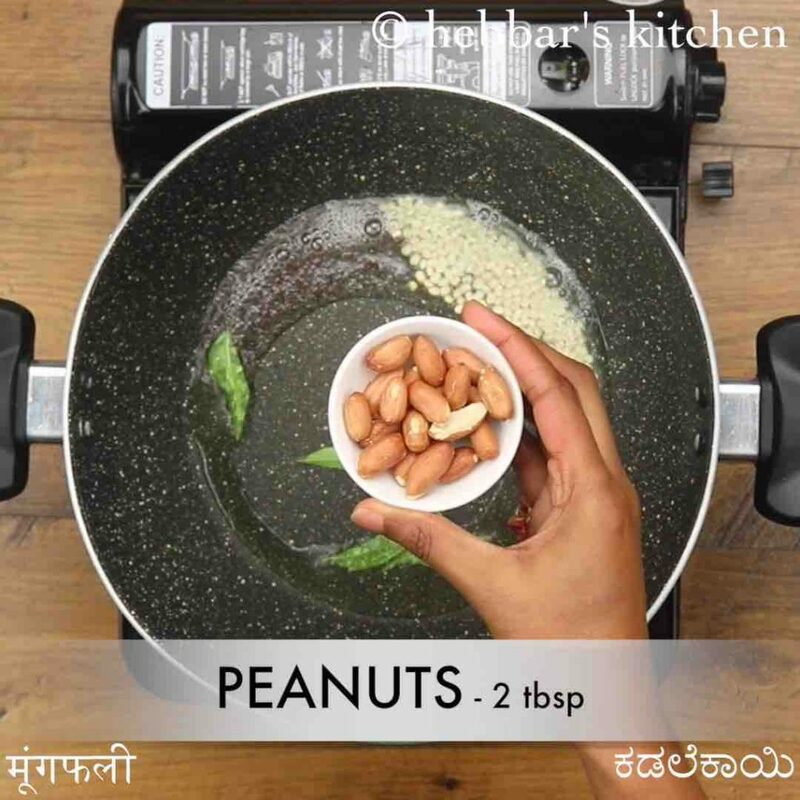 add 1 tsp mustard, ½ tsp urad dal, 1 dried red chilli, few curry leaves and 2 tbsp peanuts. 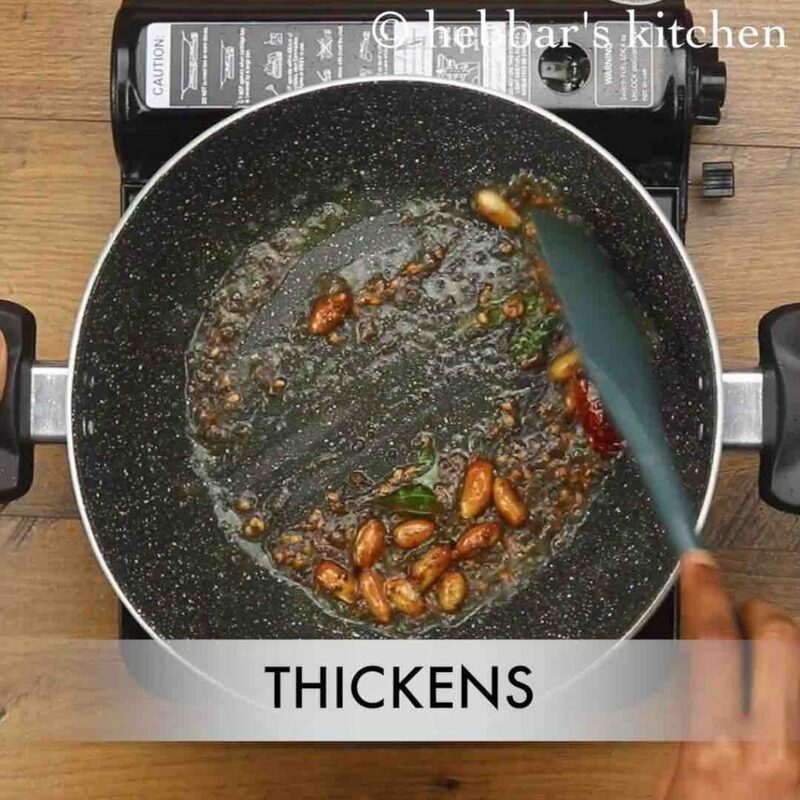 further, add 2 tbsp tamarind extract, ½ tsp jaggery and ½ tsp salt. cook well. further, add 3 cup cooked rice and mix gently. 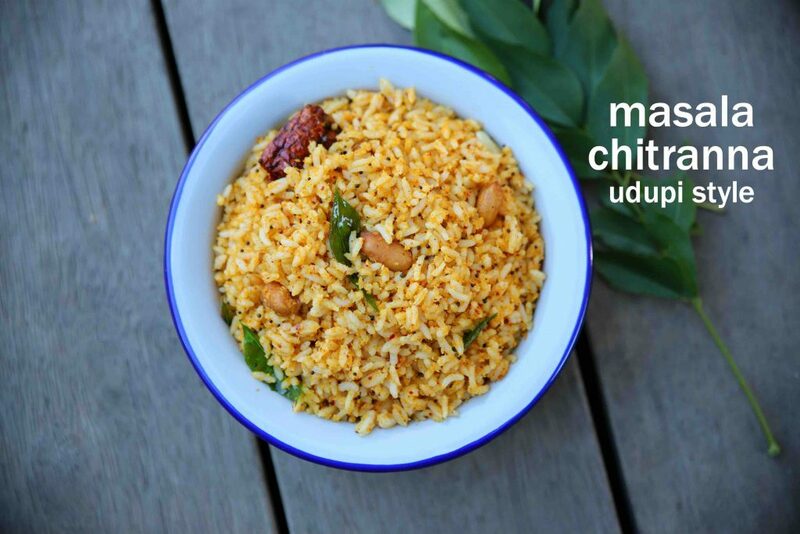 finally, serve udupi chitranna / masala chitranna hot or pack to your lunch box. further, add 2 tbsp tamarind extract. 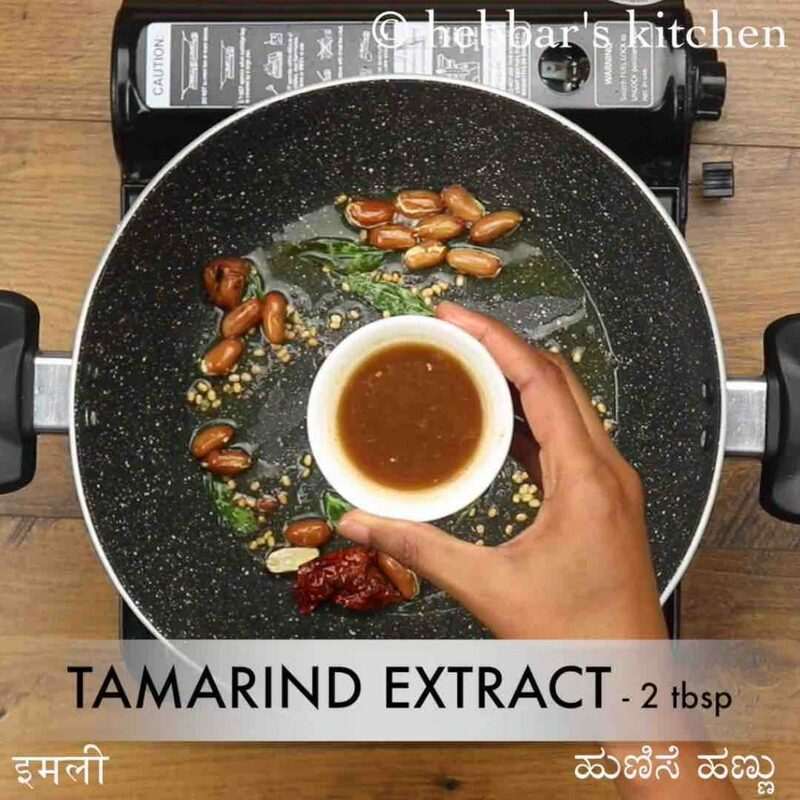 to prepare tamarind extract by soaking a small piece of tamarind in 2 tbsp of water for 15 minutes and extract the juice. 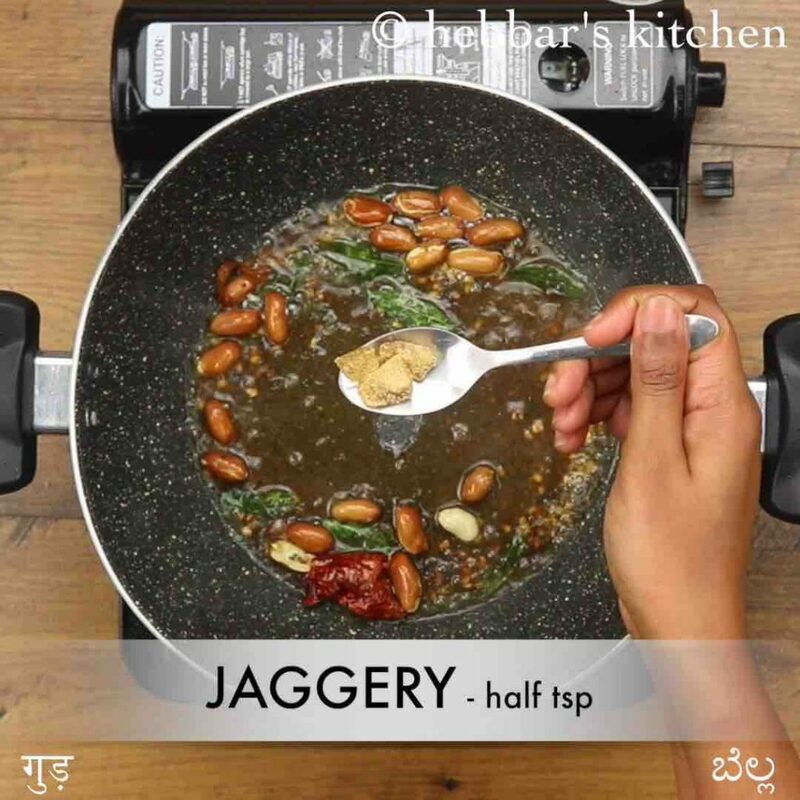 additionally, add ½ tsp jaggery and ½ tsp salt. mix well making sure the tamarind extract cooks and thickens. now add prepared masala paste. 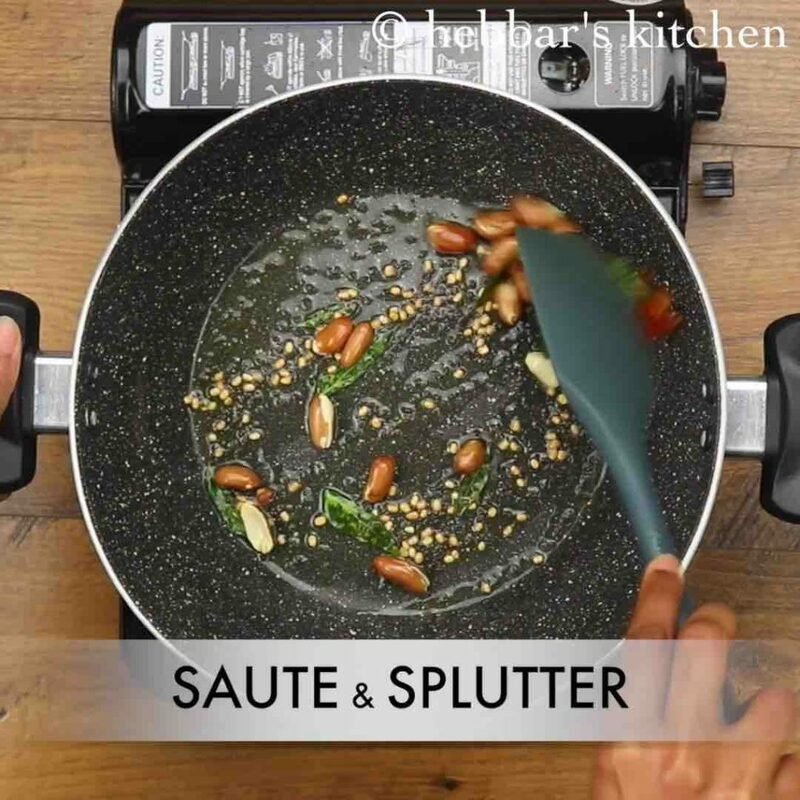 saute for 2 minutes or till the masala paste turns aromatic. firstly use leftover rice, else the chitranna turns sticky. also, you can blend tamarind with coconut masala paste if you prefer. 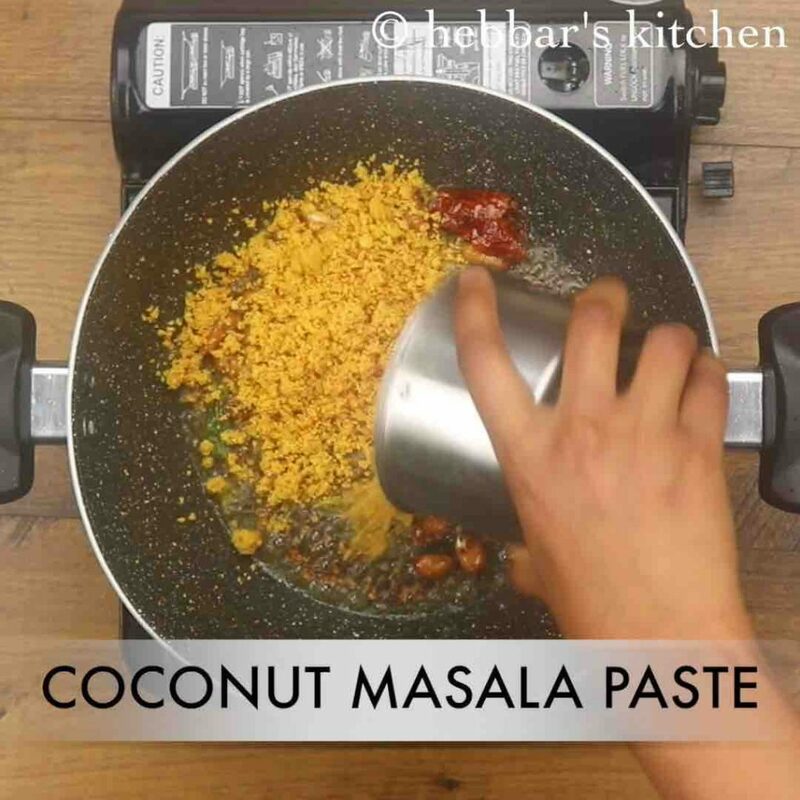 additionally, do not add any water while blending masala paste. finally, udupi chitranna / masala chitranna recipe tastes great when served after some time.